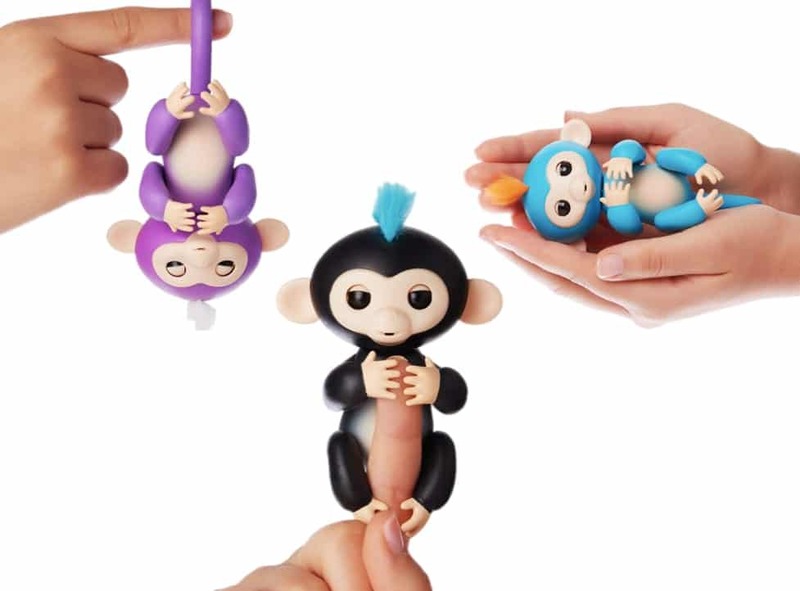 We couldn’t love these little interactive finger monkeys any more than we do. Oh, and your kids will love them too. This year it’s all about the Fingerlings Baby Monkeys. These are quite possibly the cutest interactive toy this year (sorry Hatchimals). These colorful baby monkeys simply hang out on your finger, hang from your finger, or fall asleep in your hand, but that’s only really the beginning of what they can do. They have over 40 cool (and quite funny) animations and sound effects like kissing sounds, fun monkey babble, opening and closing their eyes, kisses, hanging by their tails and a ton more. Basically there are a ton of ways they can interact and react to your touch and your voice. Oh, and since these are newborn monkeys they need plenty of sleep so you can easily cradle them in the palm of your hand and quietly rock them to sleep while they drift off to what we can only assume is a banana-filled dreamland.